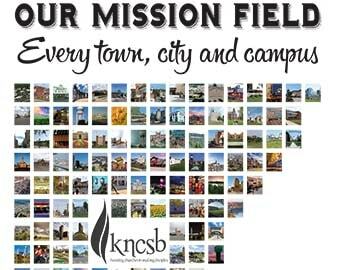 Kansas-Nebraska Campers on Mission will host the Campers on Mission National Rally June 5-7 at the Kansas State Fairgrounds, Hutchinson, Kan.
You may pay online by using debit/credit card or PayPal. Registration fee: $35 per unit if registered before April 15. The fee is $40 per unit if you register from April 15 to May 1. After May 1 you will need to register at the rally. If you want to register by postal mail, send the registration form and a check before May 1 to Sue Marcum at the address listed on the registration form. Campers may arrive after 1 p.m. Tuesday, June 4. The rally ends Friday evening, June 7. Campers need to depart before noon Saturday, June 8. Children (under 10 years old) meals are $6 each. There will be no refunds on meals or T-shirts. Exhibitors: There is no cost to bring your own table. Tables are $10 each if provided by Fairgrounds. The rally schedule will be listed here when it is available.